Once you get to know Alex, you’ll realize one thing – he commits. 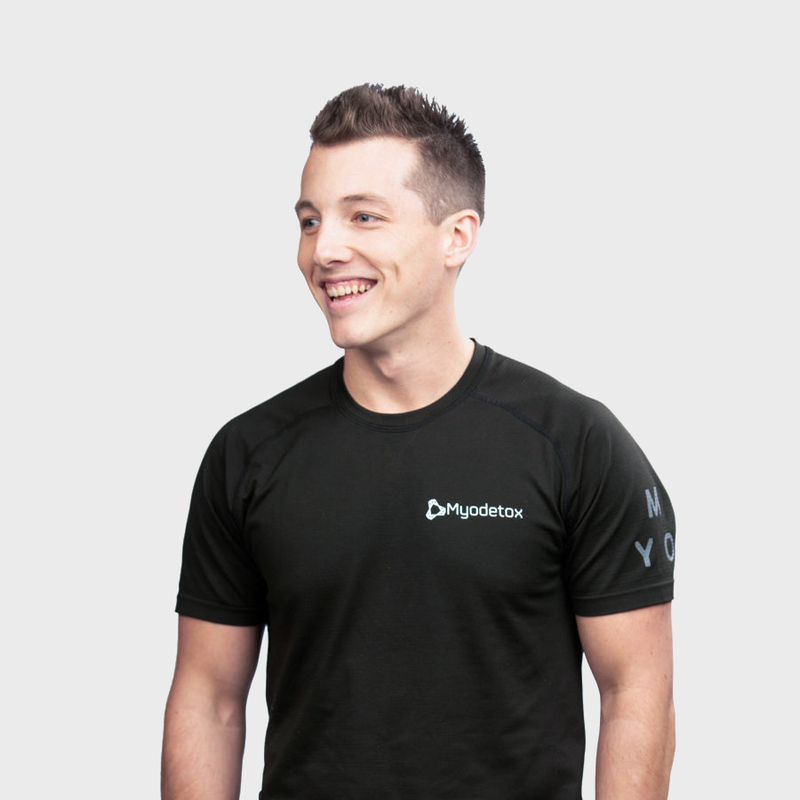 As a Physiotherapist, he approaches every individual case with the same level of dedication. Growing up in the small town of Gananoque, Ontario, he moved to Toronto with one goal in mind – become an expert therapist and help others live their best life. By using a comprehensive assessment, combined with manual therapy and movement programming, he is committed to designing a therapy approach made for you. When he is not in the clinic, you can find him organizing Myodetox events in the community, or cheering on his beloved Leafs hoping one day, they’ll win the elusive Stanley Cup. You see, the man is committed.